Latest Pic of Project 1950! See More in MorePix! This site is fully modernized in that it displays equally as well on a SmartPhone or Tablet as it does on a laptop or desktop computer. DTN Forums work the same way. We hope this makes the site more useful. The information presented here is proudly presented in a no-nonsense format that cuts directly to the chase. This solution driven format is designed to give you the answers you need and hopefully prompt questions/answers that will help others. Your participation is essential. Every person with interest in the restoration process can and should help their fellow enthusiasts by sharing information. 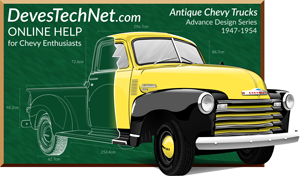 Click on the DTN Forums heading above to take you to your Tech Forums. The site is rich in How-To Articles and we are putting more and more content on the site every day. We encourage you to check out all of the content on the menu bar above because there is hopefully something for everyone. What sets us apart from every other site is when we create a solution to a particular problem, we carefully document exactly how to make the solution yourself. 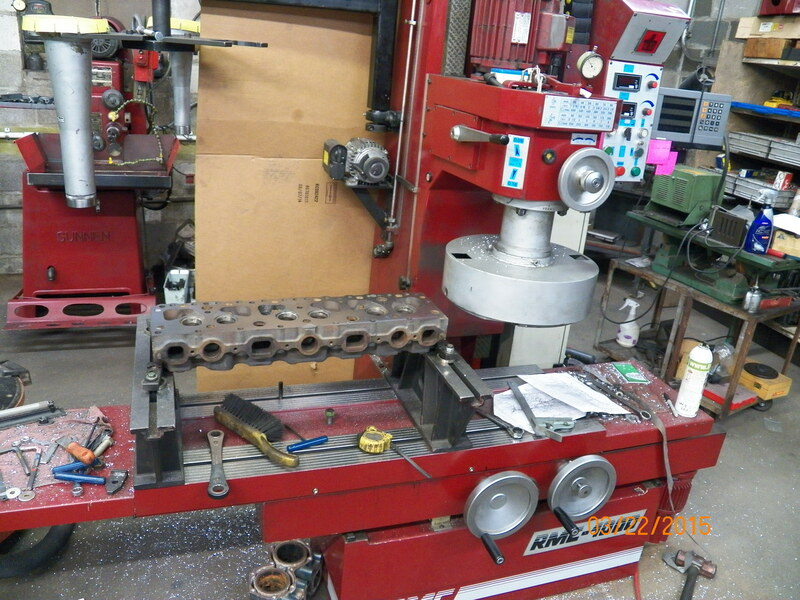 If you do not have the shop or equipment to make it yourself, we will do it for you. One of the most sacred tenants of this site and everything contained herein is that we give our information out at no cost to anyone. There are no profit motivations here, just good clean solutions. If that is something that is fun for you, you have come to the right place! I don't know how he does it, but my friend Brad Allen has put together some very rare footage of our precious Advance Design trucks and allowed us to present them to you. You will find these slide-shows throughout the site. Some of them are very instructional and all of them are quite interesting! I hope you have as much fun watching as I do! Project: 1959 235 Engine Rebuild! The idea was to explain in detail the steps it takes to properly rebuild a 1959 235 6 Cylinder Engine. From start to finish, this article goes through every aspect of a rebuild, from tear-down, to the engine shops work, to rebuilding each subsystem, right through to engine adjustment and run-up. This article was completed in the Summer of 2015 with really great results. If you have engine questions, there is a distinct possibility the answers are in this article. The Farm-It-Out Section is now online! This is offered so that anyone not having the shop or tools to make some of the documented modifications found here on the site can own them too. We encourage you to build it yourself with our free instructions, but if you can't do it, this is a great way to enjoy the inventions and modifications found here. Funding goes to support research and development of future projects and continued operation of this site. 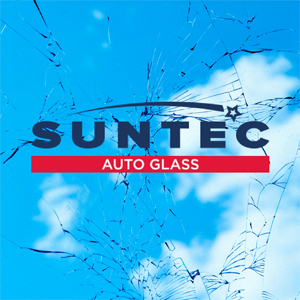 Check out our Technical Forums! We need YOUR help in making our Technical Forums World Class. Please go to the DTN Forums and participate in the discussion. It's easy to do and there is a new Tip of the Week each week for you to comment on starting with the one above. Whatever you do, don't forget to Register! New Chevy Stovebolt Engine Manual IT'S HERE!! 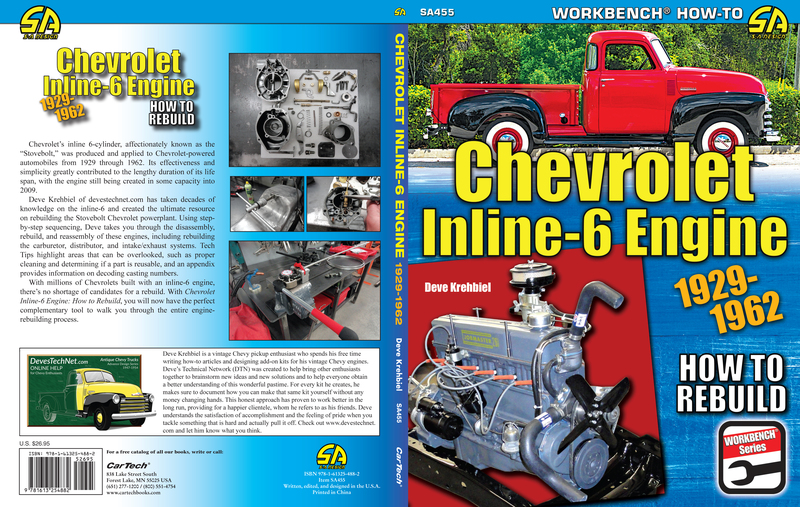 Cartech Inc®, the company who is well known for its exceptional quality Automotive Instruction Books and Manuals asked me awhile back to create an Engine manual for our precious vintage Chevy 6 Cylinders. After doing the research, checking the facts, taking the many pictures and then writing about it, the book is finished and available NOW! It has a lot of my web content in it, but I also added more. What is nice about the book is, it is strictly devoted to our Stovebolt engines. This makes it easier to navigate. In it, you will find definitive instructions on how to do a complete rebuild, learn more about High Energy Ignition, PCV, Oil Filtration, How to make handy tools for the job and much more. Please tell your friends about it on all the forums and mailing lists or any other way you communicate. The book is also available for sale right now on Amazon and world wide. Amazon at Amazon.com. There are also International booksellers available for Europe and Australia. In Australia, go to: National Library of Australia. In Europe go to: Publishers Group UK. This has been a labor of love and I was very honored to be asked to do this. Please let me know how you feel about the book, or to report any errors in the book by going to the TechNet Forums!. 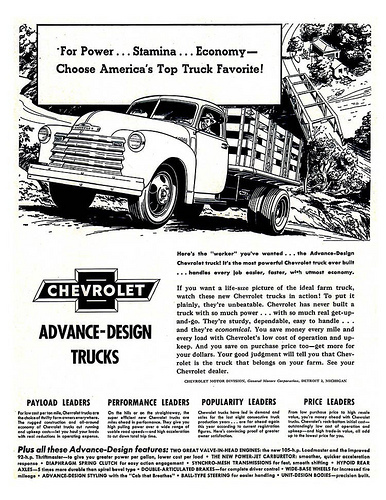 Coming in mid to late 2019... How to Restore Your 1947-1955 Chevrolet Pickup - So that should clear up "I wonder what Deve is doing these days?"! 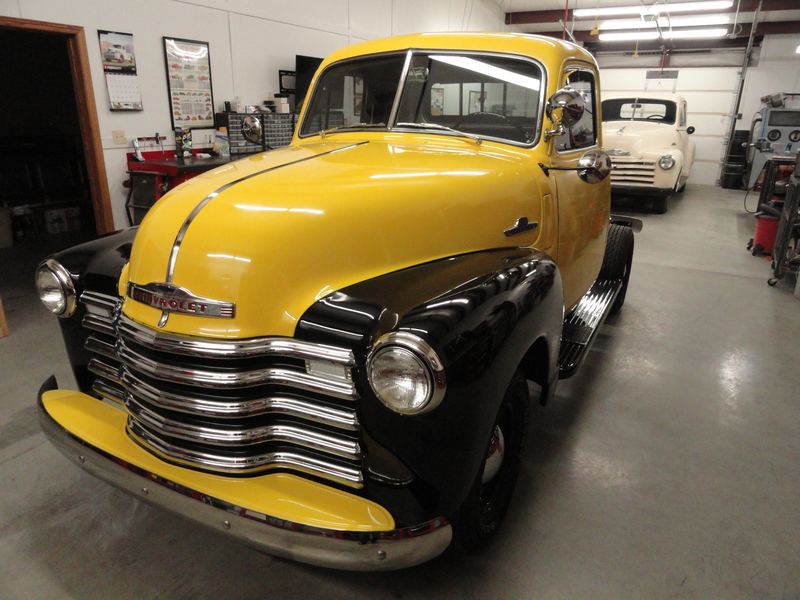 This will be a very comprehensive and detailed book that covers everything that is required to do a frame-up restoration on a 1950's Chevrolet 3100 Pickup. Stay tuned! Yet Another New Project/Product Alert!! 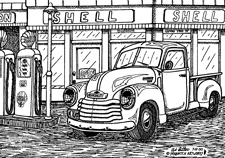 Most of us do not drive our vintage vehicles daily, so after they sit awhile, the fuel in the Carburetors Fuel Bowl has evaporated sufficiently that it takes more time in cranking to get it started. The vehicle should start immediately no matter how long it has been sitting within reason. 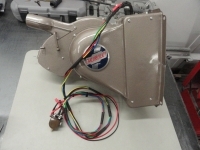 Introducing AutoPrime.. a circuit that enables the Carburetors Fuel Bowl to fill up prior to cranking. To find out more, check out this How-To Article. This article is full of new information and testing that should really shed some light on how the Fuel System works and how it can be improved. Great for Marine applications too! Announcing The Critical Information System! This system monitors your most critical systems on your vintage vehicle in a similar way your modern vehicles take for granted. This system is a proper Redundant backup system for your gauges providing you with bright LED lights that alert you of a catastrophic failure. But we didn't stop there! 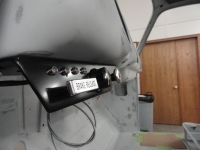 We also provided an Audible Alarm for the most two important systems, water temperature and oil pressure. Rather than scanning your gauges and hoping you catch the failure in time, let the vehicle tell YOU when it needs urgent attention! Not convinced? 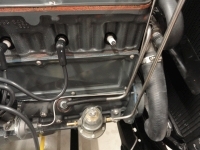 Most of our vintage vehicles have external oil lines for connecting external oil filter cannisters, the mechanical oil pressure gauge, etc. These rubber hoses tend to dry rot over time. If you were driving down the road at normal speed and a hose were to break, you are spewing motor oil all over the highway at a rate of about 15 seconds per quart. This gives you about 90 seconds to shut down the motor and coast to a stop. That is not after you SEE it, it's right away! Hopefully you stare at your oil pressure gauge all the time. We all know better of course. You have the responsibility of driving to contend with. This system is a fully redundant backup system for your gauges meaning it uses no part of the current gauge system. This gives you the peace of mind in knowing when an Audible alarm sounds PROMPTING you to look at the gauges, the answer will become immediately clear. Engine Rebuilding is a very expensive and involved process and in our local area, the cost is at least $3,000 not including the inconvenience. Protect your investment! With the cost being about 20% of that, this easy to install system will give you the peace of mind to actually enjoy your Vintage Ride! Engine Oil Pressure - If your engine oil pressure falls below 6 PSI, an Audible Alarm sounds and a Red LED Light Illuminates. 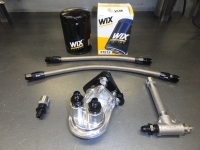 The Kit includes everything you need including a 1/8" NPT Tee Connector and a carefully chosen Oil Pressure sensor that also allows you to hook up an Hour Meter if you choose. Engine Water Temperature - If your engine water temperature rises above 210 degrees(F) an Audible Alarm sounds and a Blue LED Light Illuminates. This is also adjustable so if you would prefer a lower or higher temperature before the alarm sounds, you can do so. Engine Alternator Charging System - If your Alternator is not charging properly, a White LED Illuminates. This system requires a 3 wire Alternator to work. This is because it uses the Alternators Warning Circuit to squelch the Oil Pressure Alarm when the Ignition is turned on but the engine is not running. Low Fuel Warning - This fully adjustable circuit will allow you to choose when you want a Low Fuel LED (Amber) to Illuminate. Since some folks live 30 miles from the nearest gas station, we made the Low Fuel Warning adjustable from a Half Tank to Empty so you can choose when you would like to have this light come on. Check out our 35 minute video demonstration: Critical Information System: The MOVIE! Feature Article: The GM HEI System Explained! One of the other issues that I get asked a lot is "What is the difference between GM HEI and Pertronix?" Despite what the advertisements for Pertronix say, the units they sell are strictly 'Points Replacement' units. They have no artificial intelligence behind them. 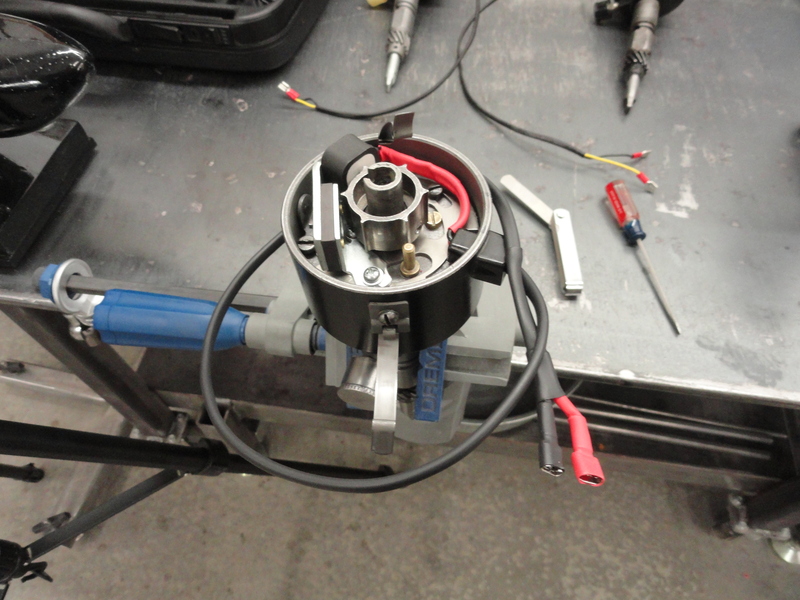 Pertronix units go inside the Distributor and replace the Points and Condenser. They are a great low-budget solution and they work very well. They are easy to install and they really do the job for which they were intended very well. I have heard very few complaints about them. 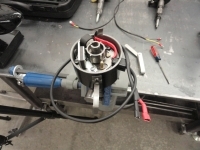 They are popular because they are relatively inexpensive, remove the points and condenser from the equation replacing them with no moving parts to wear out, and another reason to like them is they take away the dwell issues of Points and the problem of Jitter caused from the Distributor shaft wear over time. Your engine WILL run better with a Pertronix unit instead of Points. The difference between Pertronix and GM HEI is yet even greater! GM HEI has artificial intelligence that makes it leaps and bounds better from a logical perspective. 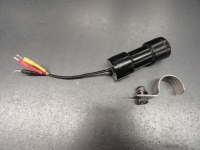 The GM HEI has an Electronic Ignition Module. This Module, although quaint by today's standards, was the grandfather of our modern electronic control modules which are considered on-board computer systems. The GM HEI Module gives the system its ability to self adjust the dwell based on Engine RPM. Its secondary function is to speed up dramatically the ramp and fire circuit to 3.6 milliseconds which enabled much faster coil response. What this means is, we can use hotter coils since we are no longer limited to 12,000 volts, which is about the maximum a points system has time for in one complete cycle. This means a more complete burn of leaner fuel mixtures. It also has a current control circuit that keeps the amperage of the entire ignition system down to 5.5 amps. Aside from the above, the GM HEI System removed the resistor circuit from the mix. This means no more reducing the points and condenser down to 6 volts which was the practice right up until GM HEI was introduced in 1975. The Resistor Circuit is what that big paint melting ballast resistor that is on your firewall was used for. By transferring half of the available power to heat, Delco was able to keep the 6 volt production line going clear into the 1970's! The GM HEI system uses no resistors and with transistorized current control, as stated earlier, keeps the current limited to 5.5 amps. In fact, it craves the full 12 volts of power and is much happier with a 45,000 volt, .7 ohm coil with the spark plugs gapped to .045. as stated in the above article, it really is a very well engineered system. So, no matter where you get your GM HEI System, plan on a much more precise and much hotter spark, extra power in 3rd or 4th gear, and a much happier Engine! Project: High Energy Ignition Plus! The Plus is, we use the Stock Distributor you already have! To make it even better, we make no permanent modifications to your vintage distributor. The GM HEI system is well known for its hotter spark, more efficient burn of today's gas formulas, and a cleaner, smoother running engine. 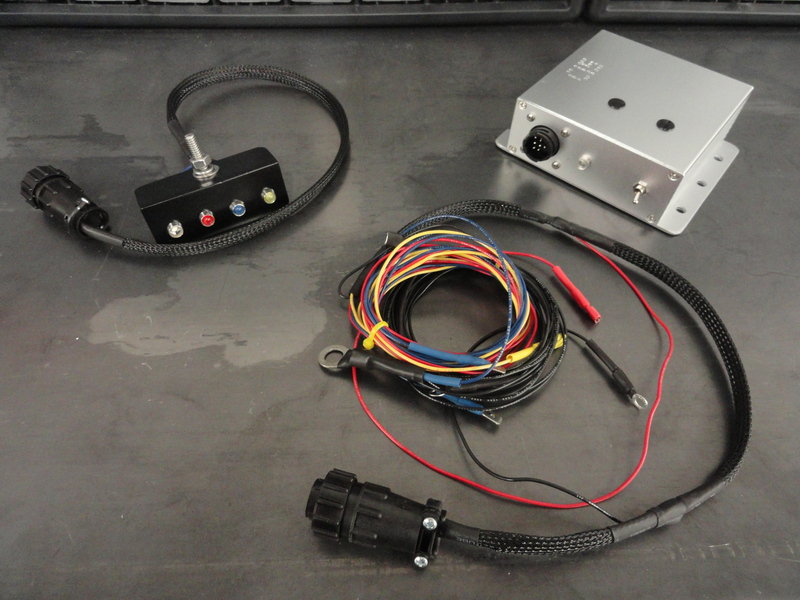 As our friend, Jim Linder, a renowned Ignition Specialist puts it: "The HEI as built by GM could very well be the best overall ignition system out there ever. It has a varying dwell based on engine RPM and a ramp and fire circuit using 3.6 ms and 5.5 amps output with current control." If you have converted to a 12 volt system, you are on your way! Check out the fuel mileage tests and all of the particulars! Very exciting! Project: 3 on the Floor! 12 Volt Heater Restoration Project! The Heater System in these trucks can be one of the most neglected systems both from a maintenance and an engineering perspective. If you have upgraded to a 12 volt power system, it may very well need some TLC before firing up the heat for the Winter. If you want to know more about your Heater System and how to stay warm and toasty without worry, check out the article and join the discussion in The Think Tank! What this site is all about is documenting How-To articles to help you finish your Truck Restoration with full confidence. Over the years we have accumulated a few things to help you. Most of these articles were written upon request by kind and knowledgeable people who freely give their time for an worthy cause. If you know something and wish to share it, check out the How-To pages and maybe they will prompt you to write what you know, and others would certainly appreciate. Start your own Blog using our Forum Software! All you have to do is register to be a Member of the DTN Forums and go to the Blog Tab and start your very own! If you have a quick idea that is more suited for the Forums, leave the tip and start the conversation in the appropriate Tech Forum. Your participation will be appreciated by everyone here! Best of all it's 100% FREE! We decided to engineer a bracket system for all styles and types of oil systems so there is something for everyone. For both Bypass and Full Flow Oil Filtration, these Spin-On Adapters make changing oil just a little easier. In addition, they add a little Style using Stainless Braided Hoses. Great for any 216/235/261. The 216/235/261 era was the last to NOT have PCV as a standard system. We know now how important evacuating crankcase gases is to the longevity of your engine. This is a simple weekend project that will keep your engine internals cleaner. It won't bring about World Peace or anything, but it's not for the lack of trying! If you spend much time on Forums, you know how it works. 90% of the information you get is from the Peanut Gallery. People who like to talk and are short on actually doing the work of investigating the issues are usually the most vocal. Yet, it would be very difficult to live without them. This is because for every 100 idiots, there are about five people who really know what they are doing. So we sift through the posts and try to make sense out of the answers posted. This leaves us with the possibility of making poor choices from the poor answers we received on any given day. To stop this dead in its tracks, we have a Forum where conjecture that is not based on actual math and science isn't acceptable and thus deleted as soon as we see it. Participants understand the importance of explaining in detail WHY and exactly HOW. So, we are very short on Participants! Not alot of traffic in the Forums. Those of you who are hesitating, understand this is not the normal Forum system, so flaming and the normal dynamic that we all have to put up with everywhere else will not be tolerated here. If you are looking for THE answer to your specific problem without the time wasting BS that is just an integral part of any Forum system, then post your question and expect to be treated with kindness and understanding each and every time. The Think Tank is another unique feature available to everyone. 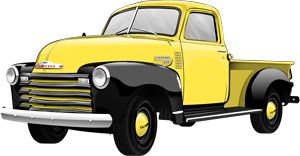 If you have an inventive spirit and wish to design a solution to any problem pertaining to our vintage vehicles, our shops, or anything surrounding restoration, post your idea and expect others to help you accomplish your goal. This particular area of the Forums is for Research and Development which often times is not very pretty! Anyone with R & D experience can attest to the trial and error nature of it all. Upload all the pictures, diagrams, movies, links, anything you need right into the Forum. No hosting sites necessary. We are so much stronger as a society when everyone participates, so please stop by from time to time and make sure to critique whatever you feel we need to work on. Thanks in advance for making this project a success! There are several projects just waiting for participants, so please check them out. We are always looking for new ideas, so please tell us your ideas! Check it out at TechNet Forums!